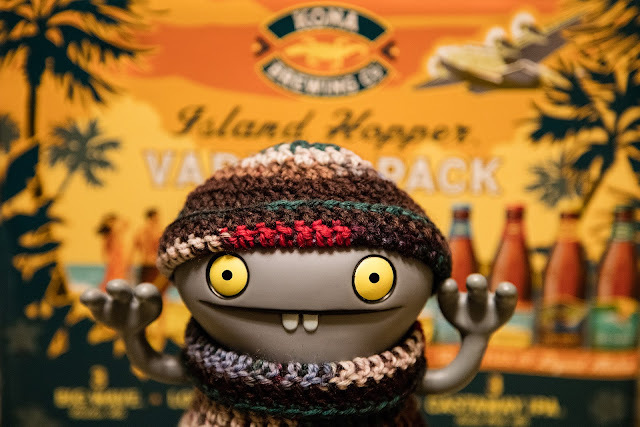 Whiles Baz was at workies todays I headereds off to the supermarketer to stocks up on cookies and stuffs and completelies by chancers I findereds a biggers boxer of beers from Hawaiis! Whats are the chancers of thats! Now I has the difficults jobber of keepings them hidereds from Baz as he will does a backsflipper if he spotters them!